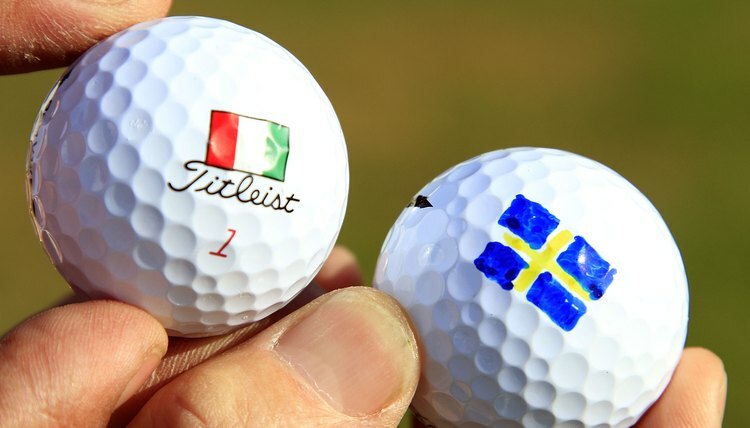 Touring pros demand high-performance golf balls. Professionals demand more from their golf ball than the average player. Pinpoint distance control, consistent spin and competitive distance are just some of the things pros demand from their ball. Professionals use multi-layer, urethane-covered balls designed to react to every manipulation they put on the ball. The pros need a ball that bites, releases and turns precisely. The Titleist Pro V1 is the overwhelming choice among touring professionals around the world. At the start of the 2010 FedEx Cup Playoffs, the Pro V1 or Pro V1x won 89 events around the world, the next highest competitor had 19 wins. The Pro V1 features a large, solid polybutadiene core and a urethane elastomer cover. Titleist delivers consistent distance throughout the bag, and exceptional green-side control. The Pro V1 is used by past major champions Angel Cabrera, Zach Johnson, Mike Weir and many more. Callaway's signature Tour i series includes the Tour i(s) for increased spin around the greens, and the Tour i(z), a firmer ball for less spin. Callaway uses a hexagonal dimple pattern in its tour balls, which the company claims is more aerodynamic than competitors', resulting in more distance and a penetrating ball flight. Phil Mickelson used the Tour i to win the 2010 Masters, and Ernie Els used it during three wins in the same year. TaylorMade made news when it created a tour-caliber ball with five layers. While firmer balls such as the Pro V1x and Tour i(z) use four layers, the engineers at TaylorMade designed the Penta with five individual layers, each meant to respond to specific clubs. The soft core promotes high launch and increased ball speed for distance with the driver, the second layer is designed to quickly get long irons in the air and reduce spin on these shots, while the third and fourth layers aid control and spin for short irons and wedges. The urethane cover is designed to enhance feel on touch shots and putts. Martin Kaymer used the Penta TP to win the 2010 PGA Championship at Whistling Straits. Srixon made waves when several of its sponsored players played the Z-Star in the optional "tour yellow" color at the 2010 Masters. The Z-Star is a three-piece ball with a middle compression level and high wedge spin rates. The Z-Star X is firmer for increased driver distance, but unlike other tour level balls, the firmer iteration produces more wedge spin, according to Srixon, than the softer counterpart. The flagship ball in Bridgestone's line of tour-level golf balls, the Tour B330 is designed for golfers with swing speeds greater than 112 mph. The four-piece design focuses on reducing driver spin while remaining highly workable. Several tour players play the Tour B330-S, which was designed for players with driver swing speeds between 103 and 115 mph. Bridgestone released three versions of its tour ball in 2009, including the Tour B330, B330-S and B330-RX for players with swing speeds below 103 mph. Professionals Fred Couples and Matt Kuchar play with the ball. A four-piece design aimed at consistent distance and spin, the One Tour and Tour D maximize distance but remain workable with every club in the bag through optimized spin rates. Major Champions Stewart Cink, Lucas Glover and Tiger Woods play with versions of the Nike Tour One.